Toy Story 3 hits theaters this weekend with thunderous applause! According to Box Office Mojo it grossed an estimated $109 million over the weekend. If the estimate holds up, this will top Transformers 2 as the highest June opening weekend ever. 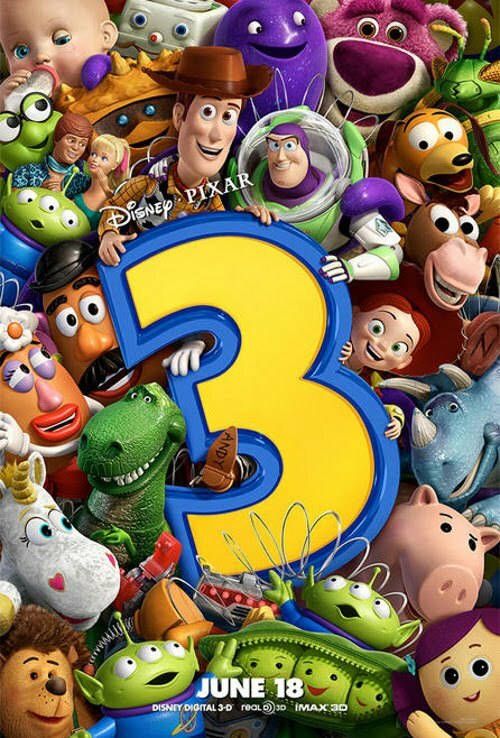 This is also by far the best opening ever for a Pixar movie, ahead of 2004's The Increadibles, which made $70.5 million on its opening weekend. 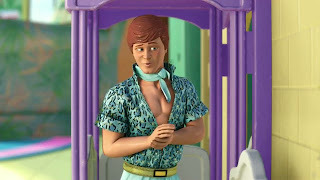 The motley crew of talking toys is a ridiculously entertaining, laugh-out-loud funny movie. Ken (Michael Keaton) definitely stole a few scenes that had me cracking up. This installment might even be the best in the series. It certainly has the biggest adventure and covers the most emotional territory. I just hope they leave it as a trilogy - quit while they're ahead ya know. 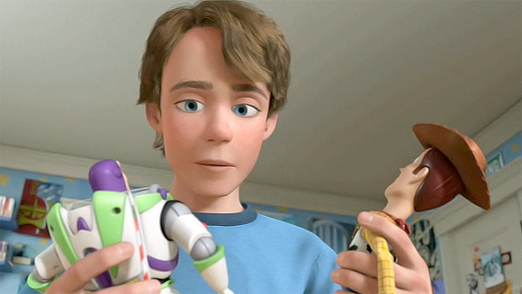 The movie is set about a decade after the first "Toy Story." Andy is now a teenager headed off to college. His toys - Woody (Tom Hanks), Buzz (Tim Allen) and the rest of the gang - end up at Sunny Side day-care where at first, it seems like paradise - the toys will be loved by endlessly recycled crops of young children. However, reality sets in after the toys end up in a room full of wild toddlers who use them as paintbrushes and pacifiers. I won't tell you how it ends, but their path takes you on a exhilarating joy-ride filled with fun and unexpected adve nture. I thought they did an absolutely beautiful job wrapping up this series. It was very touching near the end and it definitely took my breath away, and I'll bet it will takes yours. This movie essentially has you in the palm of its hand. It remarkably assesses how our sense of belonging to someone is so much a part of our happiness in life, even if we’re only made of plastic. Do see this lovely film immediately if not sooner. Seeing it in 3-D was fun, but it's definitely not a movie where the 3-D enhances the experience. 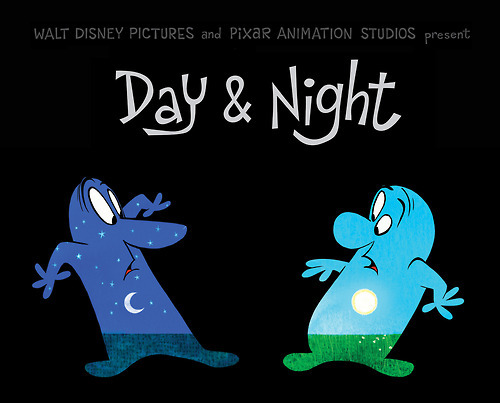 And yes, there's a new Pixar short in front of the film, and yes, it's pretty fantastic. 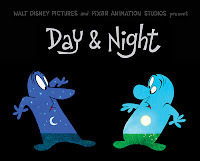 "Day & Night" is a piece about two characters whose bodies are transparent, f illed with gorgeously animated landscapes that reflect their emotional states. It's a simple little movie about the power of appreciating different ideas and perspectives, and I've never seen anything quite like it. Great writing and I can't wait to see this movie.